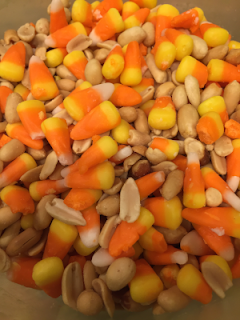 One of my favorite treats in the fall is the mixture of Candy Corn and Peanuts! 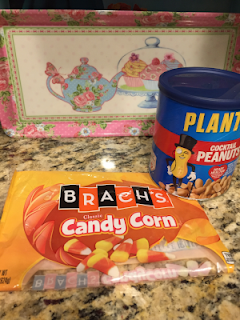 It is like eating a Payday candy bar and the easiest thing to make. Purchase a bag of candy corn and a can of peanuts. Next you open each and pour them into a container and stir up. That's all there is to it. 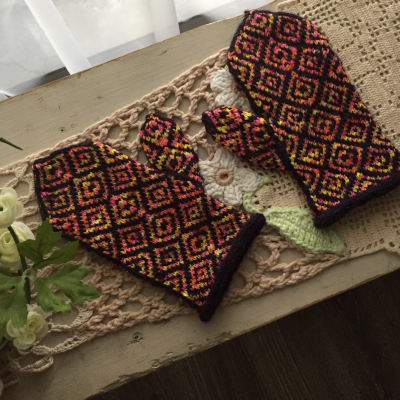 I have been working on my mittens and did finally get them finished this week. 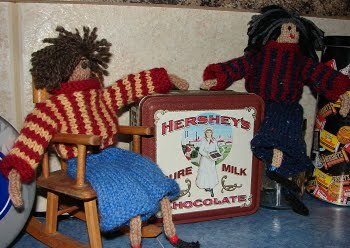 Now all we need is for the cold weather to arrive. I am sorry that my picture is a bit dark. We cannot seem to get many sunny days lately. Here is my sweater update. 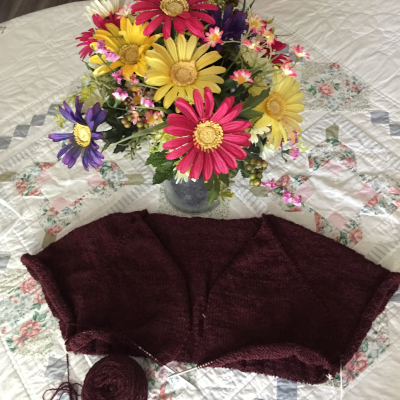 I am knitting the body of the sweater and working back and forth in rows. I have placed the sleeve stitches on waste yarn and have about 2 inches done since the division of the sleeves and body.